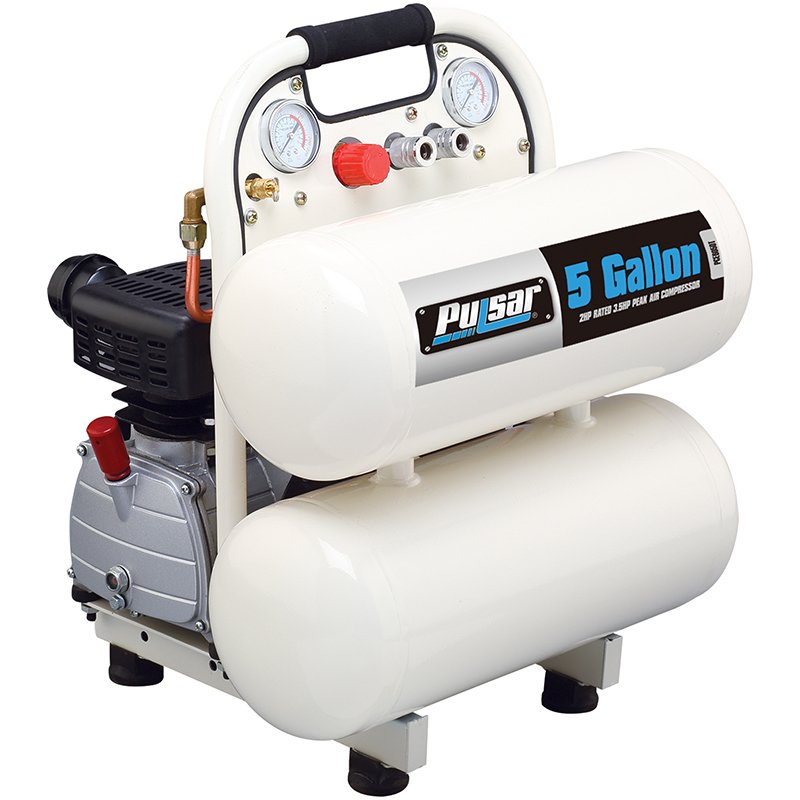 The twin-tank design of this oil-lubricated, five-gallon unit results in the smallest footprint of any compressor design. Add a powerful 3.5 HP electric motor, flutter-valve pump that puts out 115 PSI and CFM’s of 5.2 @ 40 PSI and 4.2 @ 90 PSI and you have a compact compressor capable of use with all but the most demanding air tools. Functional enough for use as an inflator, yet vibrant enough for use with the majority of air tools, the PCE6050T includes dual pressure gauges and dual quick couplers.